The current favorite buzzword used by many salespeople, marketers, and businesses is the word, Hustle. It’s a word that has been around for centuries, but has gained much popularity in both the retail and dealer world. This is most likely due to the change in society that came with the digital age, which is our overwhelming need to get things done faster and to receive things at a much quicker pace. When used in a sentence or as a hashtag, the word Hustle, quickly sums-up that an individual is hard at work, staying active, or is extremely busy. Individuals use these actions with having a common goal in mind. Goals can range from the need to pay bills to the want of having a larger income and are often obtained through force and persuasion. The hustler has something to prove and it is often to themselves. He or she does not wait like others do and do no get handed opportunities, the hustler takes them. It is a mindset used by individuals who are determined to succeed and will aggressively do what it takes to receive hasty, short-term results. However, getting work done faster does not necessarily mean it was done productively. If not careful, moving too fast in business, can actually cause more harm than good. The desire and determination to succeed are qualities everyone in business should possess, but the way in which it is acquired can use a much needed, fresh, updated and different approach. Some may think that they should Hustle because others are Hustling, but there is no need to be like everyone else. 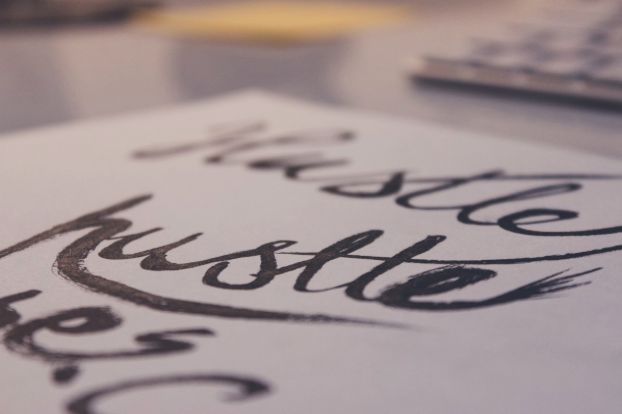 Hustling may not technically be outdated just yet, but can be perceived by consumers as an unfocused go-to marketing plan, which, is outdated to them. Buyers may perceive this way of marketing to be inauthentic and disingenuous. Especially in today’s information age, where the customer chooses to come to you, which is based highly on trust. It is true, consumers want their buying experience to be a fast process, but they mostly want it to come as a result of convenience and for it to be done on their terms. Thus, the requirement of a pushy salesperson or Hustler, is really no longer needed. There are some business practices that just should not be rushed. In fact, some methods simply need undivided attention, with the intention to improve upon its quality and deliverance. Personal branding is similar to hustling in the way that its purpose is to also obtain success and desired outcomes. However, instead of using a variety of swift actions, it uses a well thought-out, strategic plan. Personal branding is a carefully designed, long-term process that needs a great deal of focus, patience, and time, which is the complete opposite of what a Hustler typically provides. What is required in creating a personal brand, is productivity. 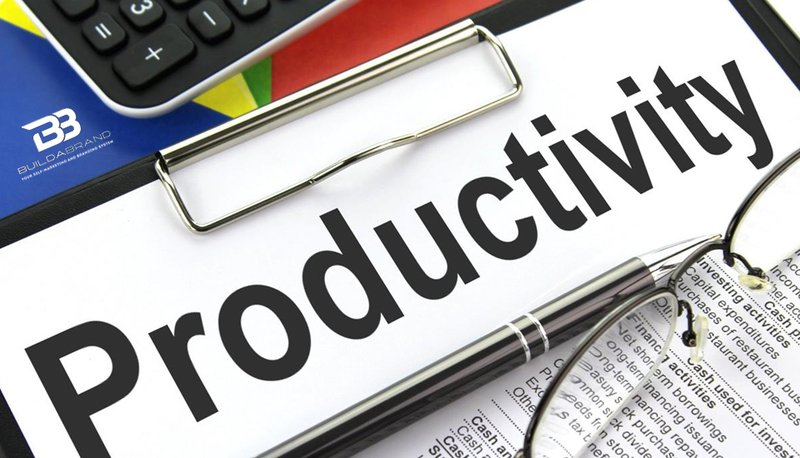 The word, “Productivity,” may not have the same cool sound or hipness as the word, “Hustle.” Nonetheless, its purpose should have a more prominent placement in the order of importance when it comes to doing business. Although many of us have heard this advice-giving quote, it would seem that most have chosen to ignore it. Admittedly, it does not sound as good as the original quote, but, you get the point. Some individuals may not agree with this way of thinking, this is understandable, change is hard. Whether you believe in coming aboard the personal branding train or not, you most likely have noticed your customers are evolving. Thus, you too need to evolve, but not for the sake of it being “ the thing to do,” rather, to create change with a purpose. For those who desire a proper personal brand that not only stands out from the competition, but attracts loyal customers; you need to make productivity your friend. If you currently have a personal brand, but feel the need to hustle in order to get the word out, about yourself and what you sell, it is time for a change. Your personal brand should sell itself as a result of the quality of content you publish and the true connections you build. Therefore, hustling your personal brand could be the very reason it has not been resonating with your audiences. Forcing a conversation, with no established relationship and zero brand credibility, is a violation of social media etiquette. Your need to hustle may actually be getting in the way of why you use this technique in the first place — to reach your goals. Instead, make the time you spend on personal branding productive, which will produce strong connections and build customer trust. Do not let anything stop you from establishing relationships with your customers. Not even your need to sell. Your consumers will buy your products, with or without you. They no longer need you to persuade them to make a purchase. What is needed, is for you to provide your audiences with plenty of reasons to choose to specifically buy from you, through the use of productive personal branding. Leave the stressful Hustle mindset behind and be open to change. Create a personal branding priority list to keep you from being distracted. Stay focused on completing the top priority and work your way down the list. It is vital that you schedule blocks of time in your calendar to review and reshape your personal brand on a regular basis. Do not rush the process; take small steps. Make time to become/stay organized. A messy work area can create frustration. Do not become discouraged. Failures will occur and lessons will be made. Just keep moving forward. Take pride and pleasure in creating an authentic personal brand. Know when to take a break or need to step away to regroup. Learn social media etiquette. Do not waste time doing something others feel you should already know. Stop trying to multitask. Work on one thing at a time. Make a strong effort to create a workspace that supports your way of working. Stop yourself from overthinking and analyzing the process. Stay focused on your desired destination and what you are looking to achieve at every level. With having a personal brand, it is important to set realistic and achievable goals. Always prepare for the next day. This will keep you feeling relaxed and confident. When stuck, seek knowledge. Never be afraid to ask for help. Building a recognizable and well respected brand is the ultimate goal. These 17 tips will help you stay on track. A productive personal brand is your outlet to provide tremendous value to your consumers. It also gives you a significant competitive advantage. Overall, to achieve great success, you will need to slow-down and focus on productively crafting and sustaining a personal brand. It will require you to consistently meet and exceed the needs and wants of your customers, as well as, create meaningful connections, which essentially takes time, patience, and effort. Your personal brand should be as unique as you are, productive, and to be without ever having the need to hustle. How Often Should I Post to Get the Best Engagement? Build-a-Brand empowers individual salespeople to brand themselves, your company, and your products & services online and in social media using state of the art digital marketing, prospecting and follow-up tools. Salespeople become independent advertising reps, helping generate incremental sales month after month, while lowering conventional advertising costs.